Taking off and landing on an aircraft is a stressful experience for the average human – let alone an infant. It is no secret that young children do not enjoy flying… their screams and cries make that particularly obvious. But is there a reason why taking off and landing is worse for infants? And why do they cry while flights take off and land? 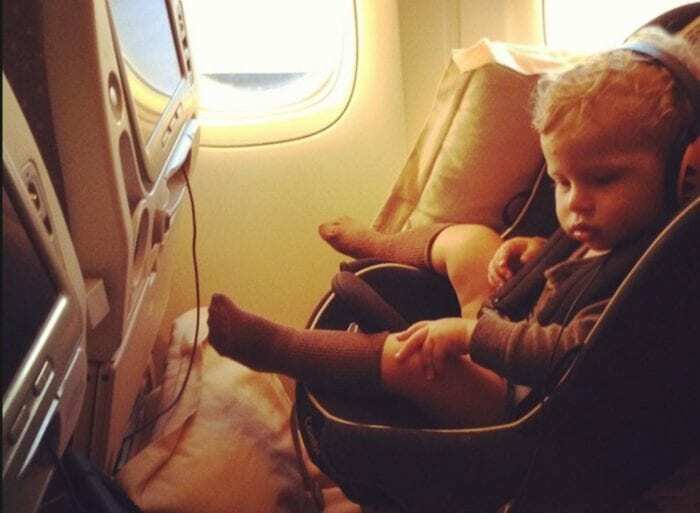 Flying can be an incredibly uncomfortable situation for infants. They are made to stay in the same seat for however many hours, bombarded with loud noises, the air smells weird and their ears hurt. The frustrations that adults feel while flying are only heightened in an infant – especially when the plane suddenly speeds up or bumps on the ground when the aircraft lands because they do not understand what is going on, and it is a completely new experience. Often, their cries are a distress call. They are looking to their parents to soothe their fears and tell them that everything is ok. When you’re taking off and landing, it is incredibly likely that you will feel your ears ‘pop’ due to a change in cabin pressure. Seasoned travelers and adults know that the best way to get over popped ears is to yawn, clench your teeth or blow your nose. This new experience, and not knowing how to deal with it, can be incredibly uncomfortable for infants, causing them to cry. Although this crying response may not be ideal for your or the other passengers on the aircraft, crying results in jaw movement which can help release the buildup of pressure. Small children and infants are incredibly attached to their parents, and can often mimic the feelings they believe their mother or father is experiencing. A lot of adults become nervous when taking off or landing in an aircraft, and this, in turn, can cause the infant to cry. When the infant notices that their parent or parents are agitated, they will themselves become agitated and stressed in regards to the situation. 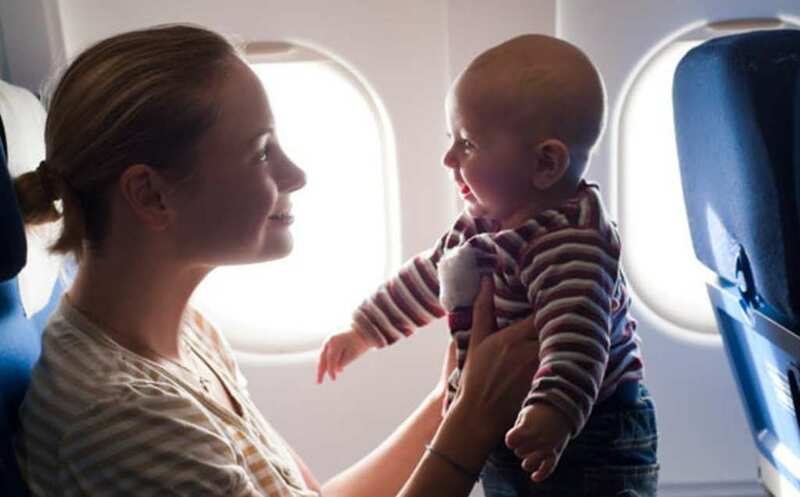 If you are a nervous flyer and traveling with a young child, it is always best to try and distract yourself and your child during takeoff and landing, to ensure neither of you becomes emotional. Infants have very distinct routines. They nap, they poop, and they eat at the same time each day, and disruption to this routine can cause distress – and flying can cause this kind of disruption. Flights can be at any time of the day, the environment is different, and mealtimes are changed. This disruption, coupled with the new experience of takeoff and landing, can cause groggy infants to become even more groggy. Flights can often be long experiences and can be incredibly uncomfortable. If a baby is not clean, has not been fed or is too cold or hot, they are likely to become even more uncomfortable and cry. Experts say that you should change and feed your baby as close to your boarding time as possible, to ensure extra baby freshness for when you take your seats. Having an illness before you fly can cause them to be heightened in the stale and cold conditions of an aircraft. If a child has any allergies, a cough or a cold, the increase of air pressure can make the symptoms even worse. This is most likely to happen when the aircraft is taking off and landing, so the infant is more likely to cry. Illness makes an infant grizzly in the first place, so it’s made even worse in the aircraft situation. Every infant is different in their own way and will react to their situations in different ways. You may have a child who will happily sleep through the entire flight, take off and landing included. On the other hand, you may have a child who wants to cry throughout the whole flight. Knowing how to deal with your child’s own personal needs will make everyone’s flight more comfortable. Sometimes sitting them down with a teddy bear and an iPad can help all of the eventualities and avoid crying.